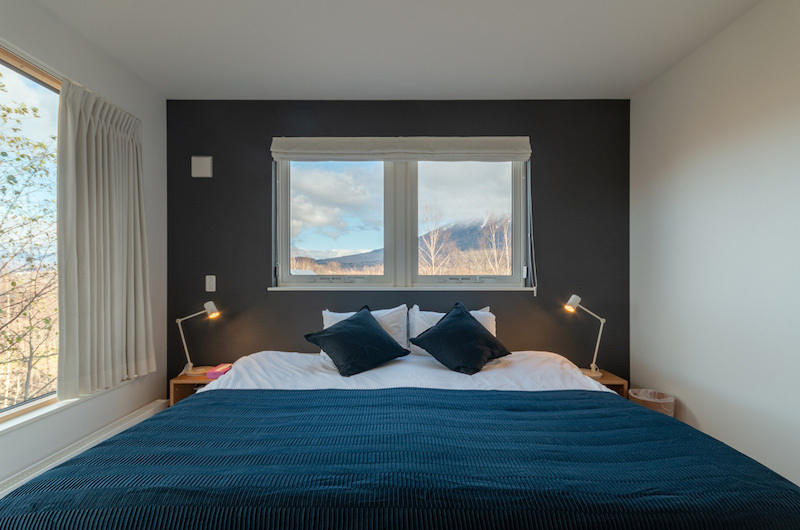 Komorebi Chalet offers a harmonious take on Japanese simplicity, surrounded by quiet snow-covered woods on the outer edge of Hirafu Village in Niseko. 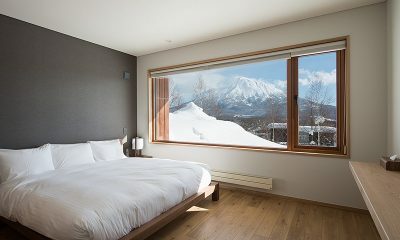 Built over two floors, the chalet is decorated with contemporary furniture and a muted colour palette, with ample windows offering views looking out to Mount Yotei. 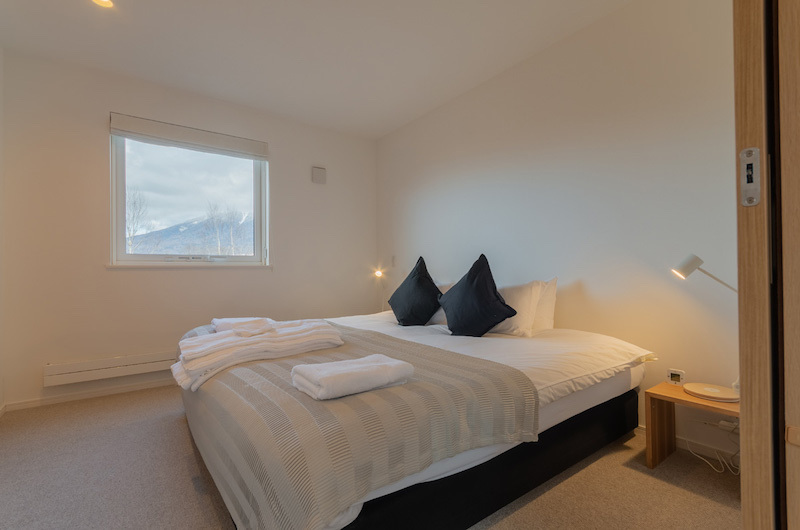 Fully fitted for modern comfort, Komorebi Chalet comes with three bedrooms, a ski room, Apple TV and full laundry facilities. 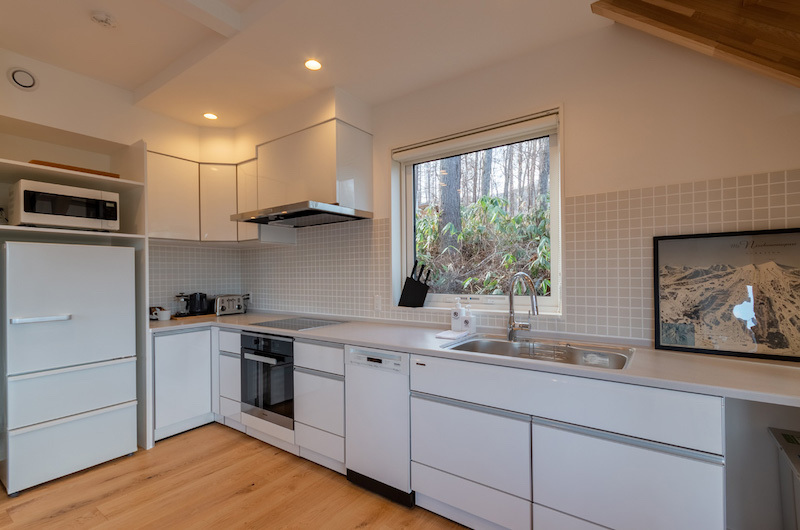 The setting is ideal for taking in Hokkaido’s natural beauty, with the bustling centre of Hirafu Village just a five-minute drive away. 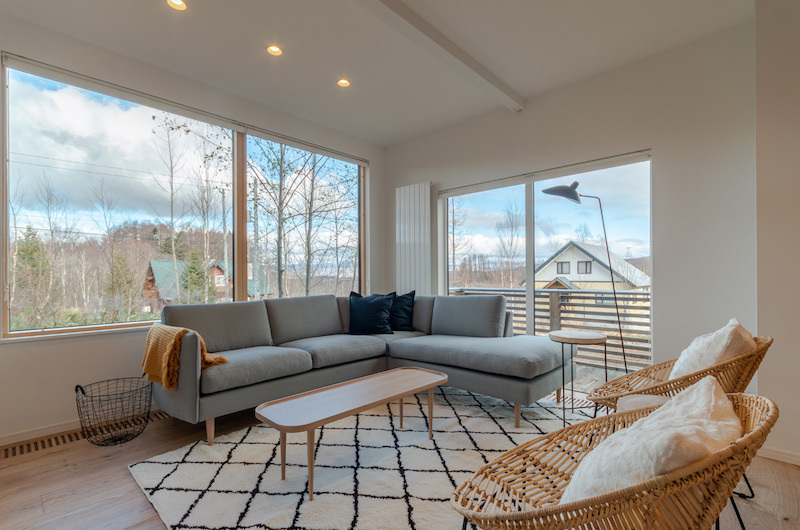 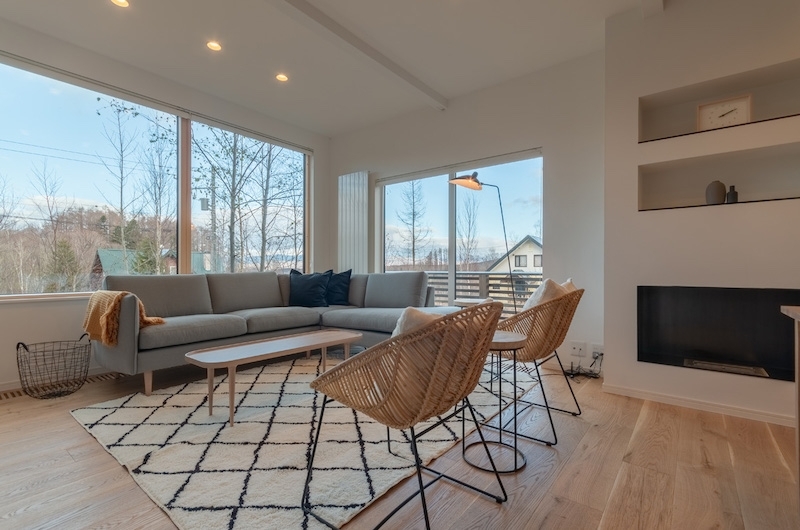 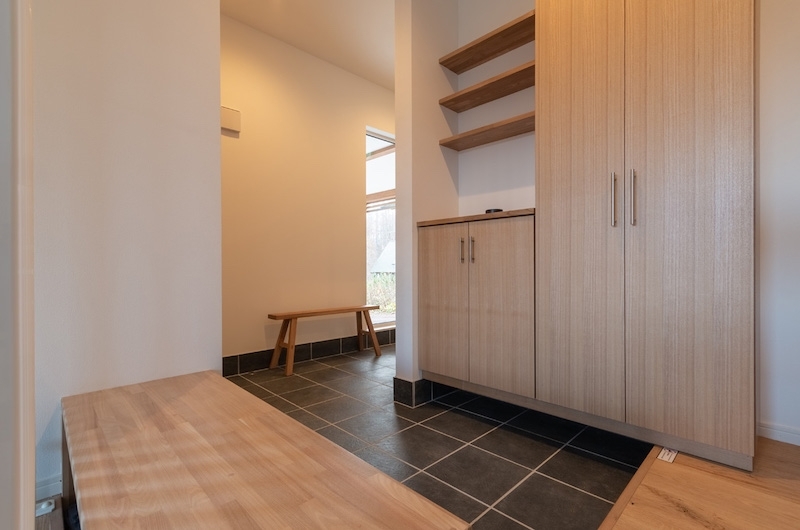 Komorobi Chalet’s layout encourages relaxed get togethers with friends and family, with the fluid living and dining areas located on the ground floor and all three bedrooms located upstairs. 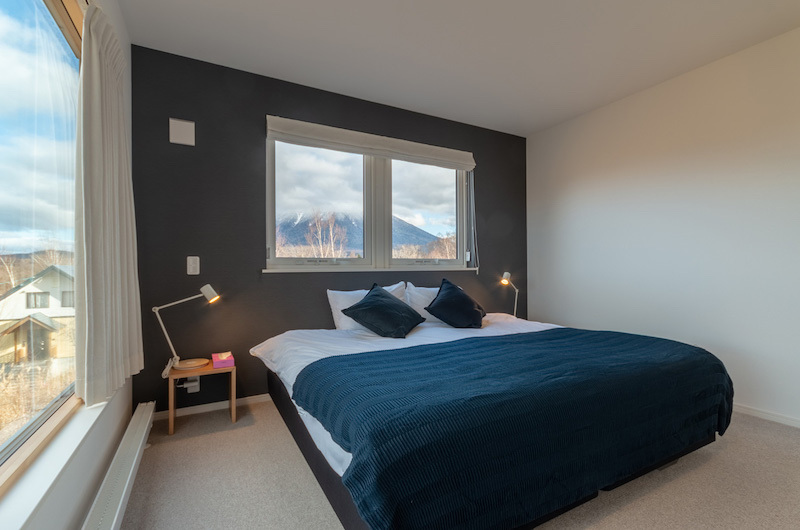 The style is minimalist and elegant, with the living areas framed by full-wall views of Mount Yotei. 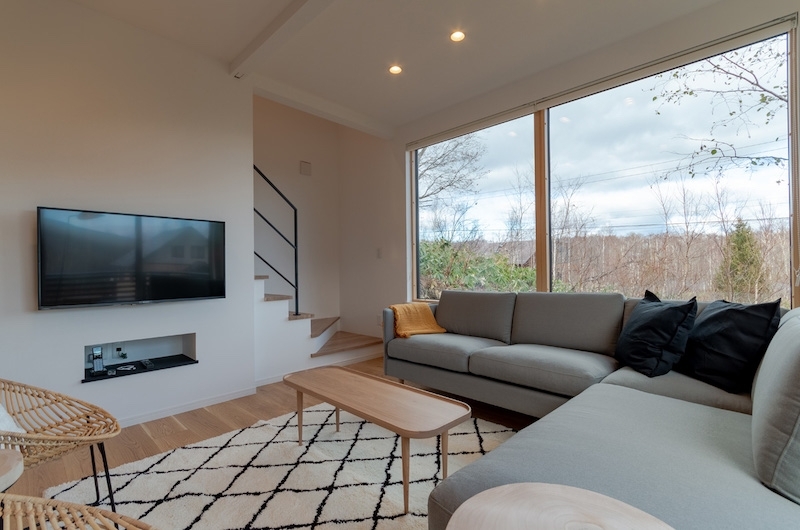 The open-plan living and dining room features a relaxed seating area with a dove grey sofa and on-trend rattan chairs positioned before a sleek, wall-mounted TV screen with Apple TV and on-demand English TV. 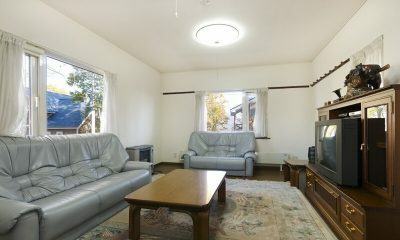 The TV might just pale in comparison though as the room is lined with full-length windows offering views of Mount Yotei. 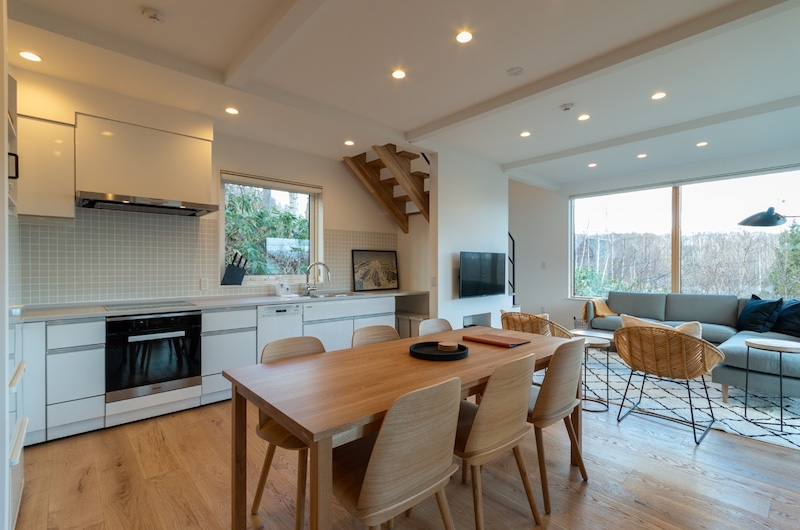 Also housed in the living room, Komorebi Chalet’s light timber dining table is surrounded by eight matching chairs. 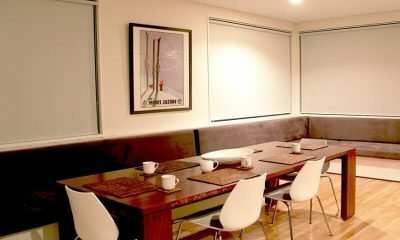 The dining area is adjoined by the chalet’s fully-fitted kitchen which includes a coffee maker, microwave, dishwasher and rice cooker. 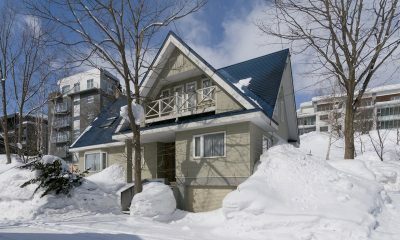 Komorebi Chalet has three bedrooms. 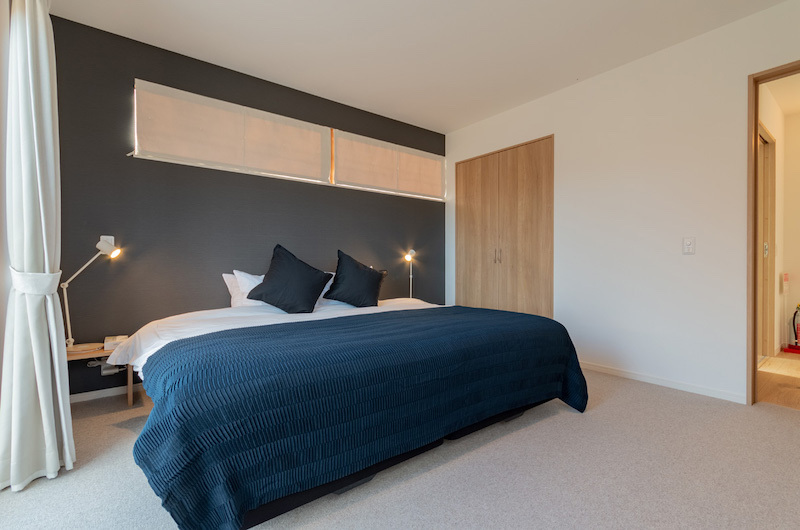 All three rooms are furnished with a split bed which can be set up as a king or two single beds as needed. 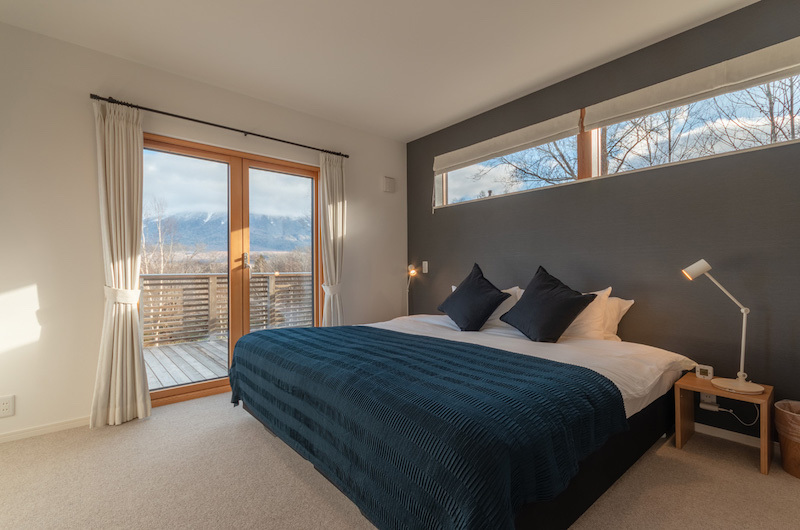 The bedrooms are located side by side on the chalet’s upper floor. 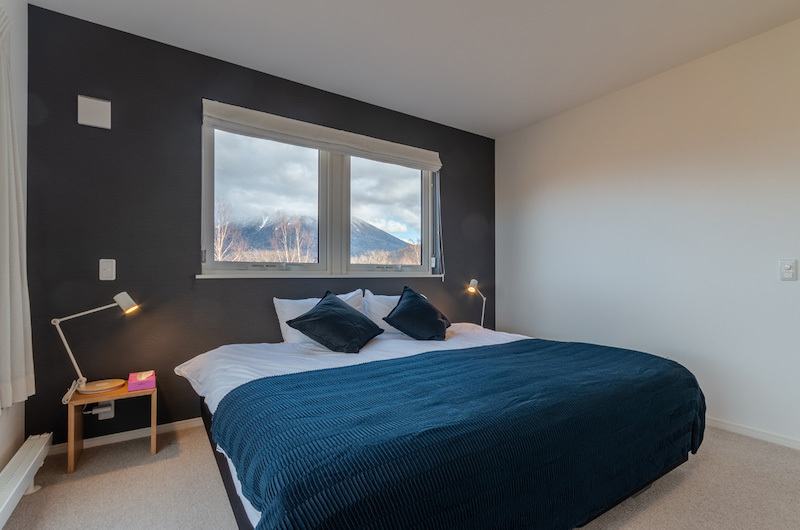 The first bedroom features a split bed and shares access to a bathroom located on the same floor. 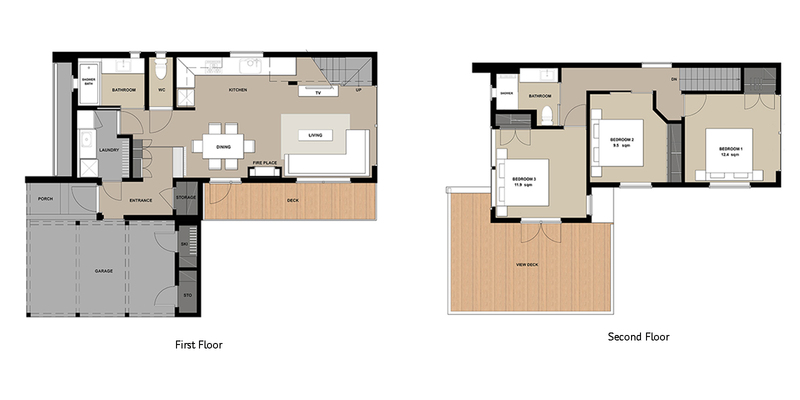 The second bedroom is located between bedrooms 1 and 3. 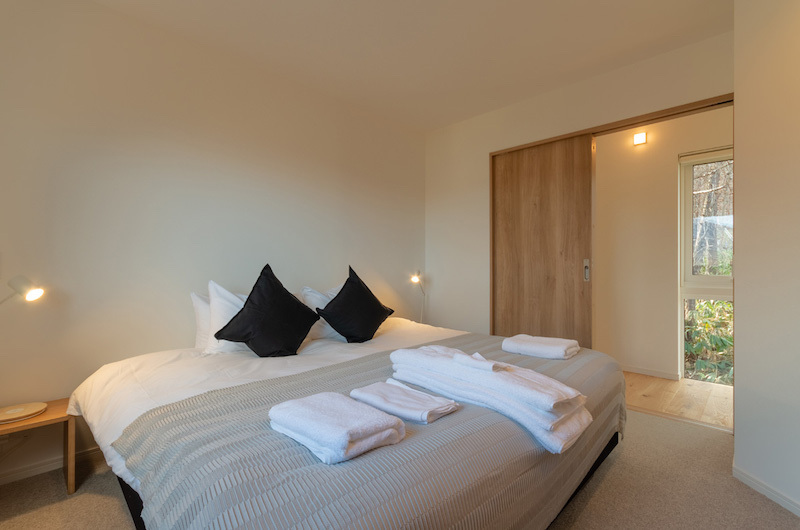 Like the other two rooms, this bedroom features a split bed and shares access to a bathroom located on the same floor. 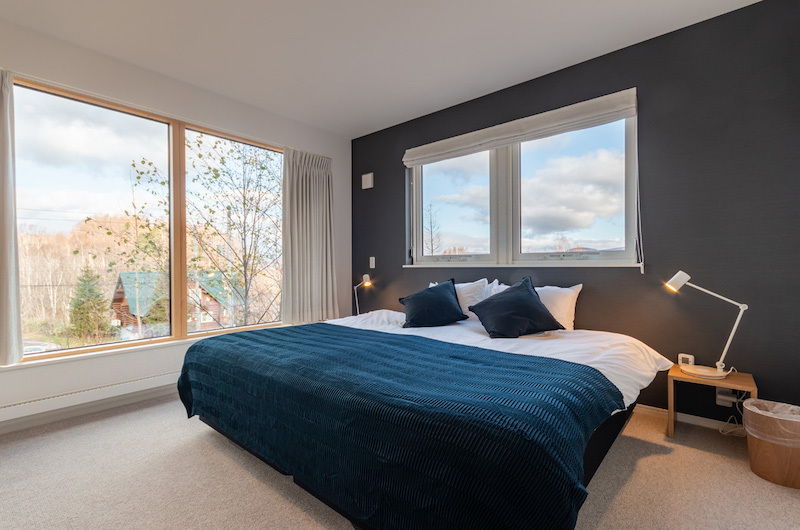 The third bedroom comes with a split bed and offers access to a viewing deck. 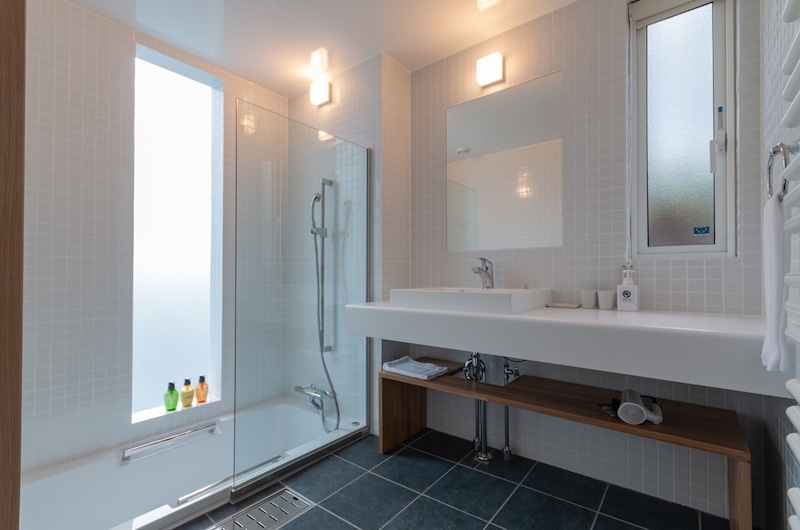 There is a shared bathroom right next door. 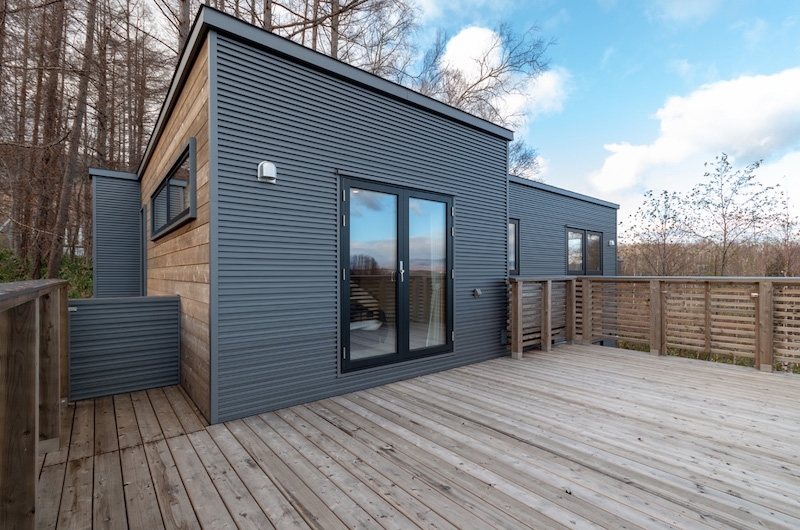 Komorebi Chalet is a three-bedroom chalet that’s built over two floors. 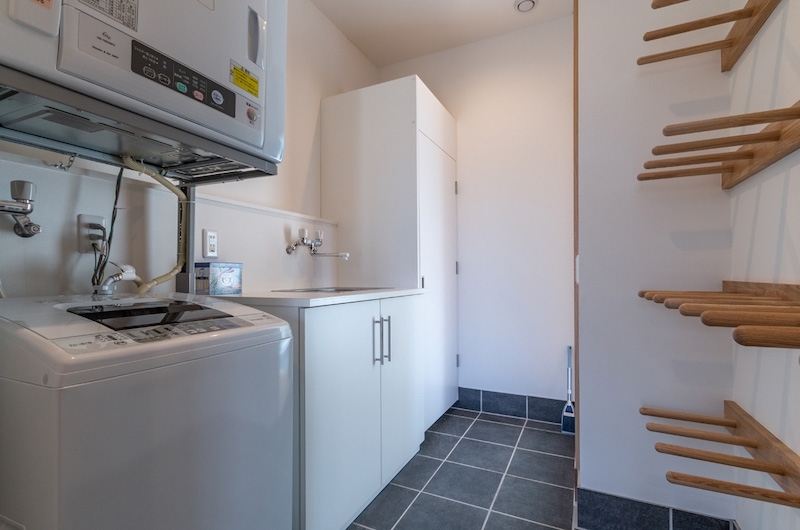 The ground floor houses the living and dining areas, laundry facilities, ski room and guest bathroom fitted with a sunken bathtub. 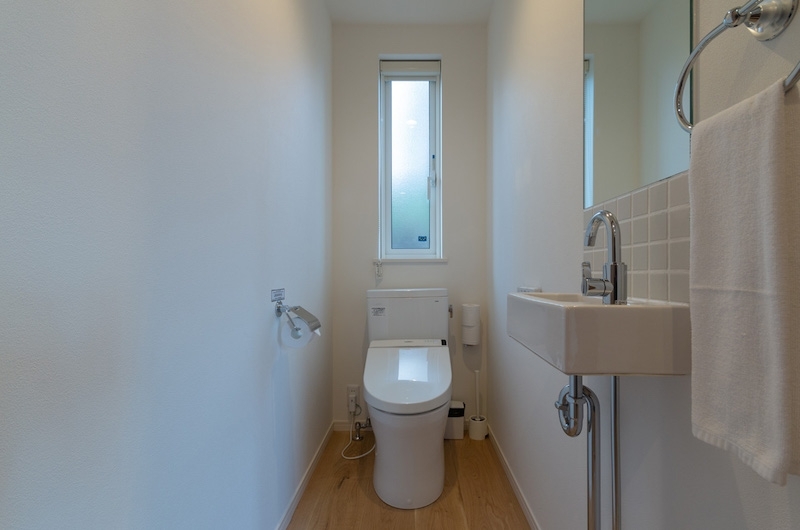 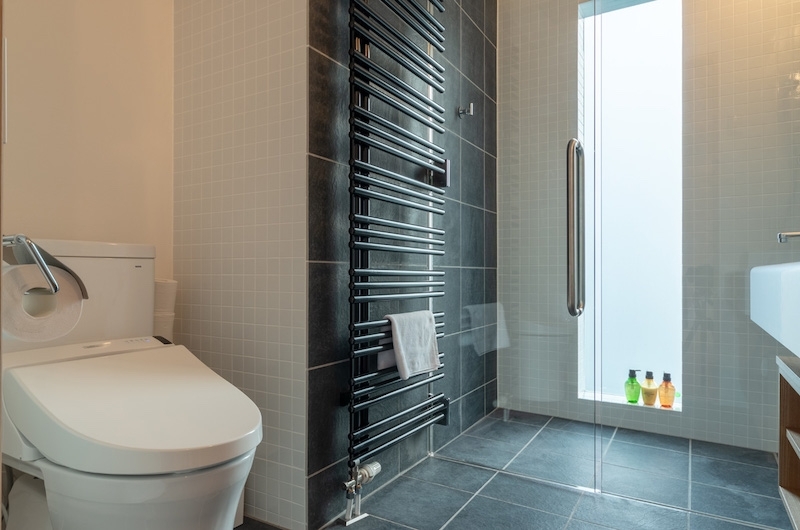 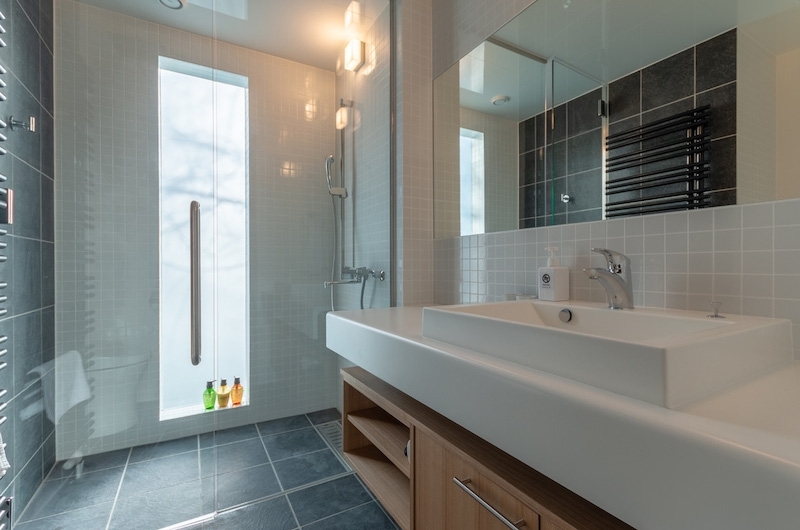 The three bedrooms and a shared bathroom are located on the upper floor. 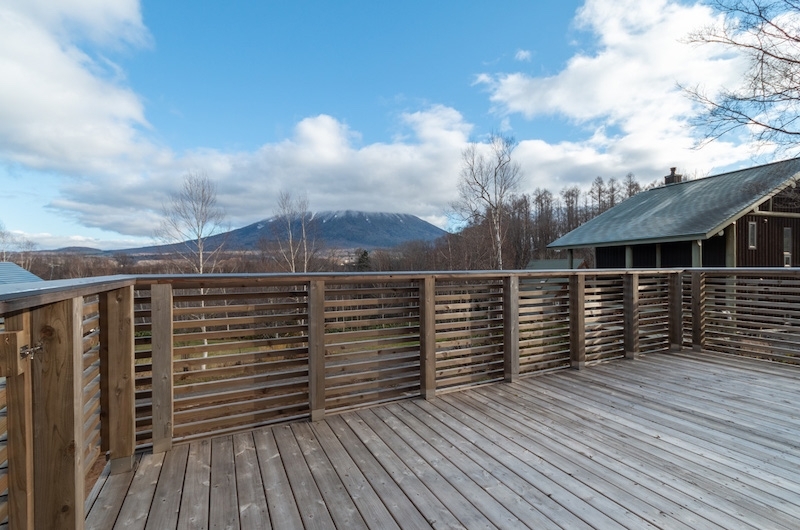 Komorebi Chalet is located on the outer edge of Hirafu Village in Niseko, Japan. 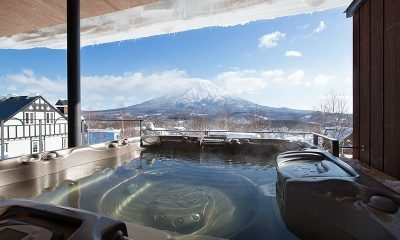 This is a peaceful area where you’ll get to immerse yourself in Hokkaido’s natural beauty. 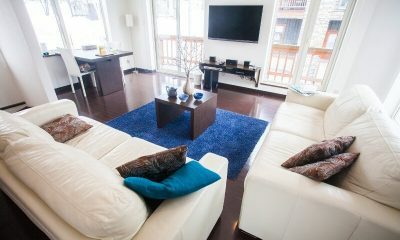 A surprising local highlight is Ruhiel gelato shop which is located just 300 metres from the chalet. 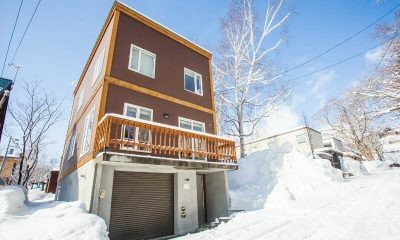 You will need a car to get around but once you have some wheels, it’s a quick five-minute drive to the centre of Hirafu and the ski lifts. 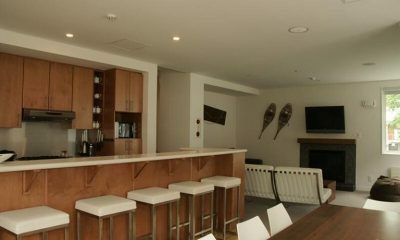 The hub also offers a great selection of restaurants.